There are several shops and online stores in Singapore that offers a range of electric scooters. Scootz in Bukit Merah has been selling the Razor scooter since 2012 but at the end of 2012, they came up with their own scooter line in the S350UL. Razor, though a US brand famous for their kids and adult kick scooters, have a very affordable electric scooter product line but most of them lack the aesthetics to appeal to the more discerning consumer. Also, they are designed more as toys than as true vehicles with features to handle daily use. The Scootz’s S350 scooter is a good improvement to the mass market Razor as it is lightweight enough for you to lug it around at 13kg. Its 8″ tires does clear bumps and humps on the road quite easily especially the drain grates on pavements. It runs on a 200W motor, has a charging time of about 4-5 hrs and it’ll last for about 20km or so on a full charge. This makes it practical enough for daily use to get you from your home to anywhere in the neighbourhood. However, if it is to be treated as a serious vehicle for commute, the product needs to come with warranty and service guarantee. At $900 per unit, it does not give any warranty currently. Much cheaper electronic appliances at the stores come with warranty. 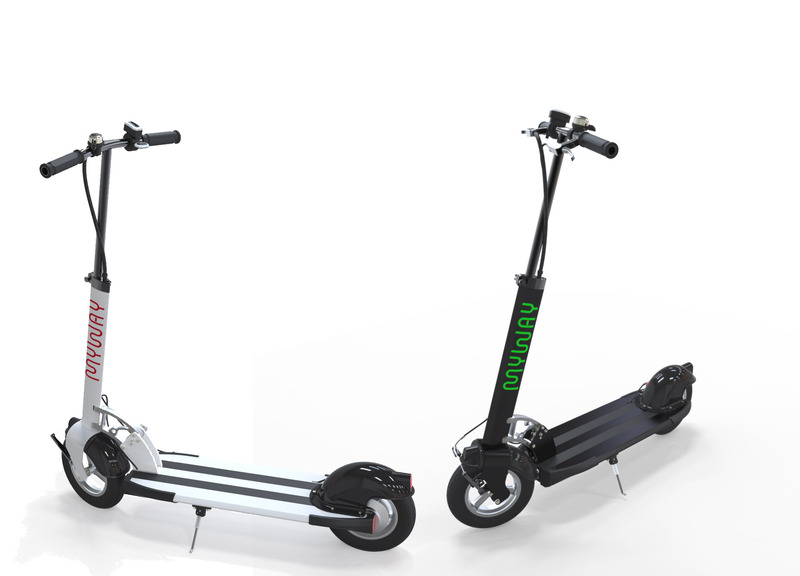 However, in October 2013, an exciting new product called the Myway will be making it to the shores of Singapore and Falcon PEV will be carrying the Myway range of scooter products here. Check them out at www.falconpev.com.sg.